Acoustic Folk Music flavored with a touch of Blugrass, Jazz, Gospel and Rock. Coming from Kentucky, the state of hootenannies and shindigs, Noah was used to picking up his guitar, humming a harmony and joining the fun. The skills he learned at 9, he used for his later forays in country-western, rock 'n' roll and jazz, playing with various combos. Irene, a vocalist, guitarist and pianist, as well as a dabbler in lesser known instruments, had turned her more classical training into a solo show for coffee houses. What began as an elementary school's piano class unfolded into a resounding career in folk music. Integrating their musical taste took time, but like marriage, the compromise paid off. A fine balance of contrasts and congruence's make their contemporary and traditional folk songs appealing to a variety of audiences. Old Shep Still Makes me Cry! 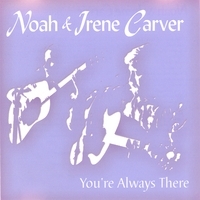 Noah and Irene, There are no words to replace ones memories, to hear you both playing and singing still, takes me back to one of my most special memories of childhood of you playing music to a full house ( our living room) You both have a such a beautiful gift. I thank you for sharing it with me as a child. Noah, the gift of your music lives through my brother, Randall. Not a time goes by when we are all together that your name does not come up. ( and it\'s not all bad either) Kidding.